March | 2011 | YesBiscuit! 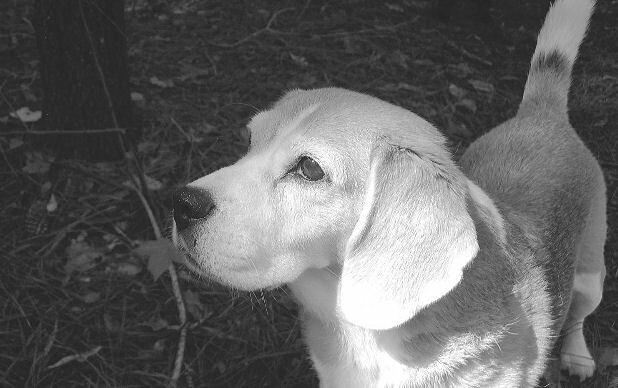 The State Law Enforcement Division is investigating the shooting deaths of six dogs because South Carolina’s attorney general doesn’t think Chesterfield County’s internal investigation went far enough. The dogs were found almost a month ago in a landfill where euthanized animals are dumped. They had been shot in the head. Soooooo, SLED hadn’t already been investigating the case? Geez, this is getting embarrassing (er). SLED agents must conduct official interviews with four animal control officers, asking if they participated or directed anyone to participate in the unlawful shooting of dogs. 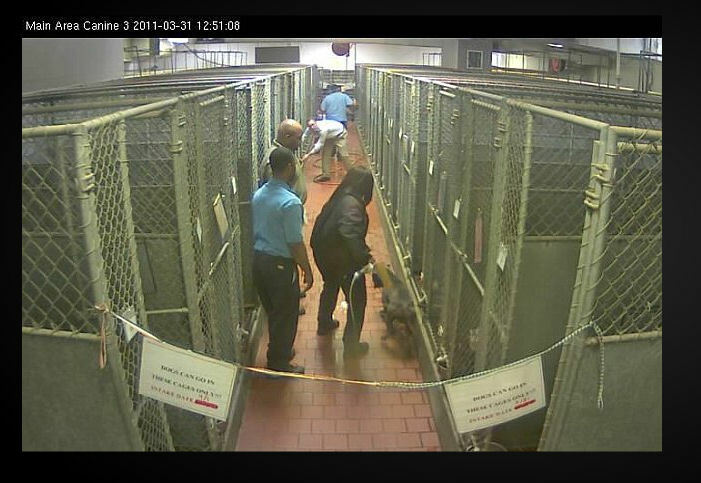 The agents will also look into reports of dog-fighting-related activities at the shelter. 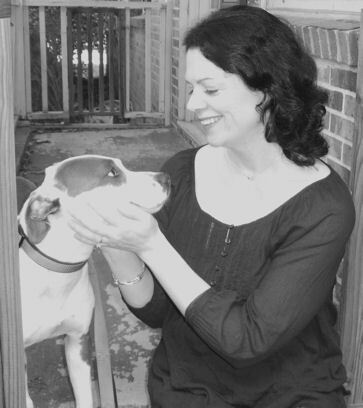 What if the ACOs say they know nothing about shooting dogs or dogfighting? Will that wrap up the case? What about the Schedule III drugs that remain unaccounted for at the shelter (run by a convicted drug felon) – will SLED be asking yay or nay on that? 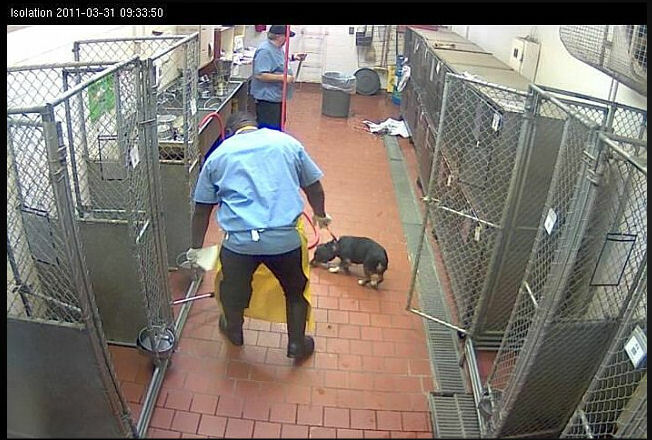 Meanwhile, taxpayers continue to pay the ACOs – who have not denied shooting shelter pets, beating cats with pipes or running a dogfighting operation out of the shelter – to stay home. 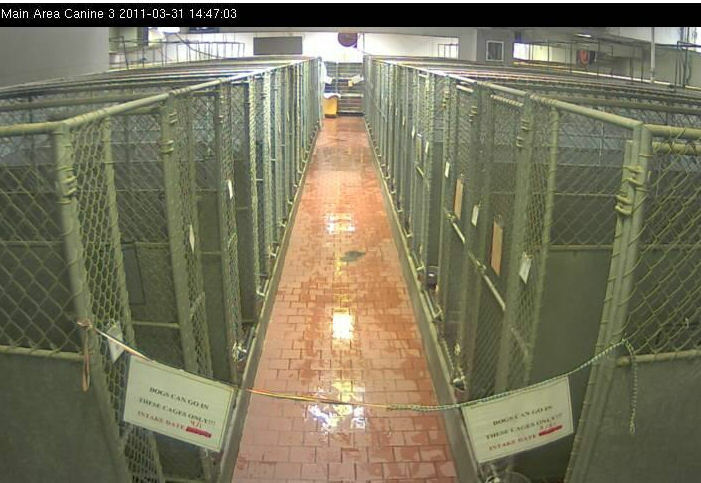 Readers send in screengrabs from the webcams at Memphis Animal Services. 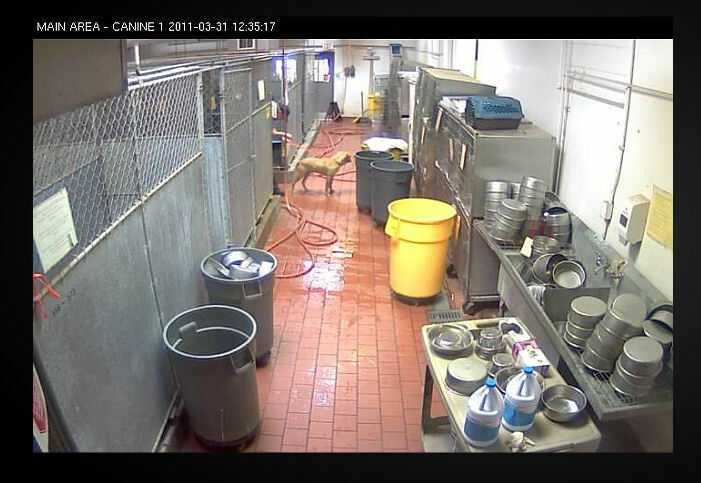 "Friends" stated on 3-29 that we would be seeing dogs walked from their kennels to the outside runs during cleaning every day. I guess they forgot to inform the staff at MAS. Again today, runs being cleaned with dogs inside. The shelter says killing is the best way to handle the distemper outbreak. MAS kills more than 77% of the pets in their care. A precious few are being saved from MAS by rescuers. Some are choosing to focus only on those lucky few and to ignore the needless killing of so many. 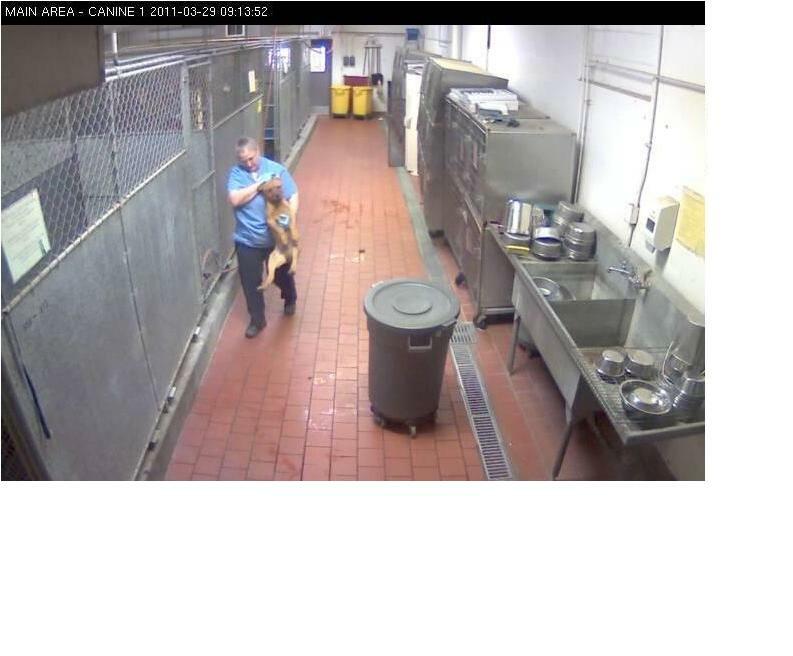 Let these photos stand as a reminder that there are people who know and care about all the pets being needlessly killed at the shelter. These photos will not be deleted. These pets will not be erased from public view. You are not forgotten. This cat was needlessly killed by MAS despite a rescue hold on him. On Saturday I spoke with a shelter employee who put notes in the computer that our rescue will take the cat. 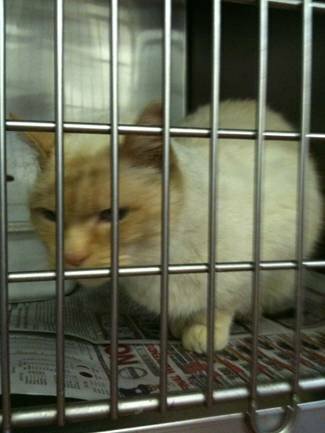 On Tuesday (3/29), the first shelter work day after the cat was made available for adoption, the animal was euthanized. I was not told why they euthanized the cat. The cat was not sick on Saturday. I was never called to be told that he was sick. 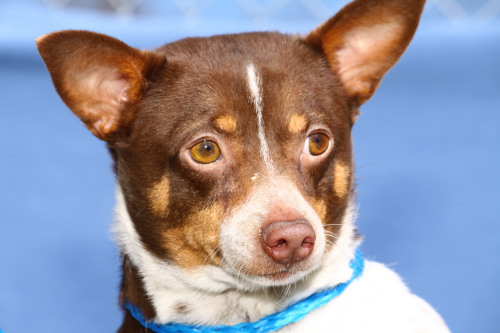 Also, he was already neutered, so he didn’t need surgery to be released from the shelter. On Saturday I was told over the phone that the shelter staff was too busy to vaccinate and test the cat because of the distemper outbreak and the mass euthanasias they were performing, I suppose. I was told that even if I paid for the cat on Saturday he still won’t be ready (tested and vaccinated) until Tuesday when the shelter reopens. On Tuesday late afternoon when I got there the cat had been euthanized. The notes to “not kill” the cat were still in the system. I was told that it might have been an oversight, but no one offered to investigate. Usually I am called if an animal we have on “do not kill” gets sick. I think that this was a careless mistake on the part of the shelter, which is very indicative of the operations there. 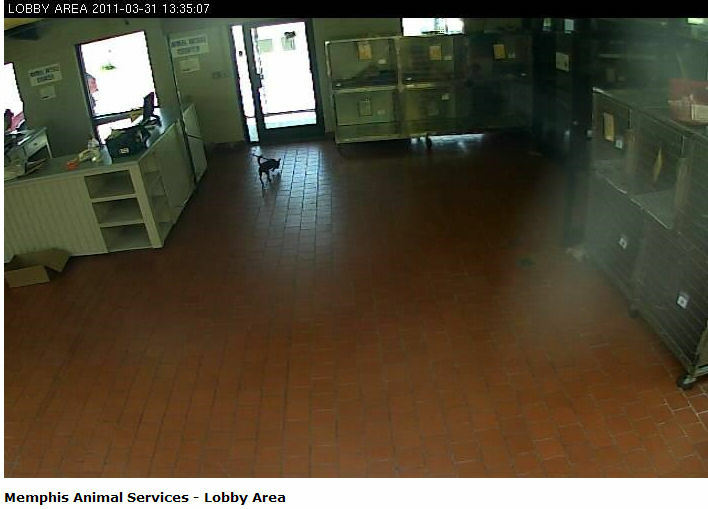 I was also trying to find two dogs [IDs 224322 and 224323]. 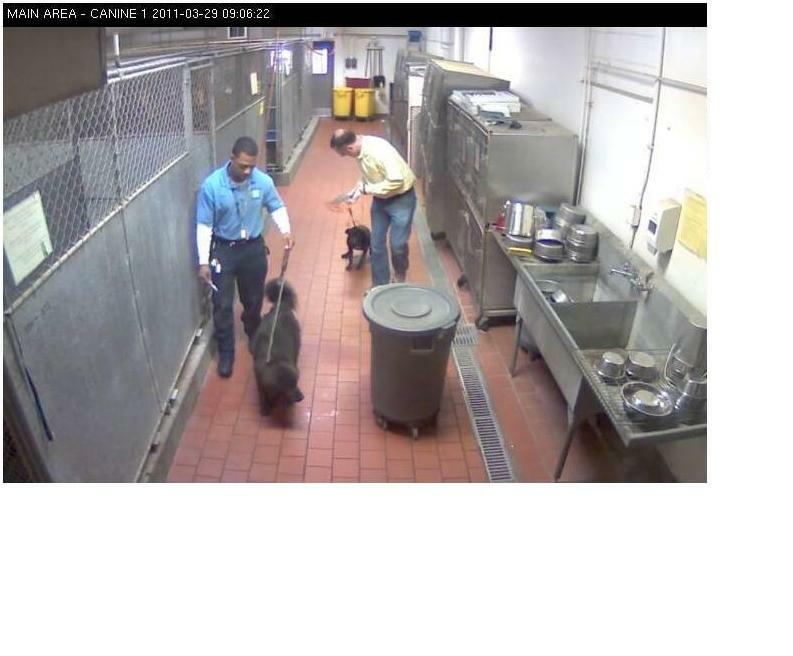 The employees looked up the IDs and told me that the computer system was showing that the animals are at the shelter. However they could not find the animals or what happened to them. The next day, I was told that “most likely” the animals were transferred to another rescue and that the transfer was not properly documented. Most likely. Let’s look at the MAS stats for 2010 and see what might qualify as a “most likely” outcome for a pet there. Thank you Ms. Ellinger for speaking out and for saving lives at MAS. Thank you to all the rescuers who are helping pets escape this “shelter”. Jackson, submitted by reader Katherine. Milton Animal League is a no-kill shelter. Pigpile on the Irresponsible Public! In addition to Friends of Memphis Animal Services and shelter vet Rebecca Coleman blaming the public for the needless killing at MAS due to distemper, now shelter director Matthew Pepper, the local paper, and even the Mayor are joining in. “We have, unfortunately, a large percentage of our human population maintaining unvaccinated animals, and that is a recipe for disaster when you have animals housed in close proximity in an overcrowded facility that’s just not large enough,” he said. “If you’re a member of the community and you own an animal, go see your veterinarian and go vaccinate your animal,” he said. Critics of the decision [to kill dogs] suggested that the shelter should have shut down and quarantined the dogs they have. But the shelter on Tchulahoma is crowded — partly because of the large number of irresponsible pet owners in Memphis who either abandon their animals or let them run loose. Memphis is not alone in the battle against irresponsible pet owners. 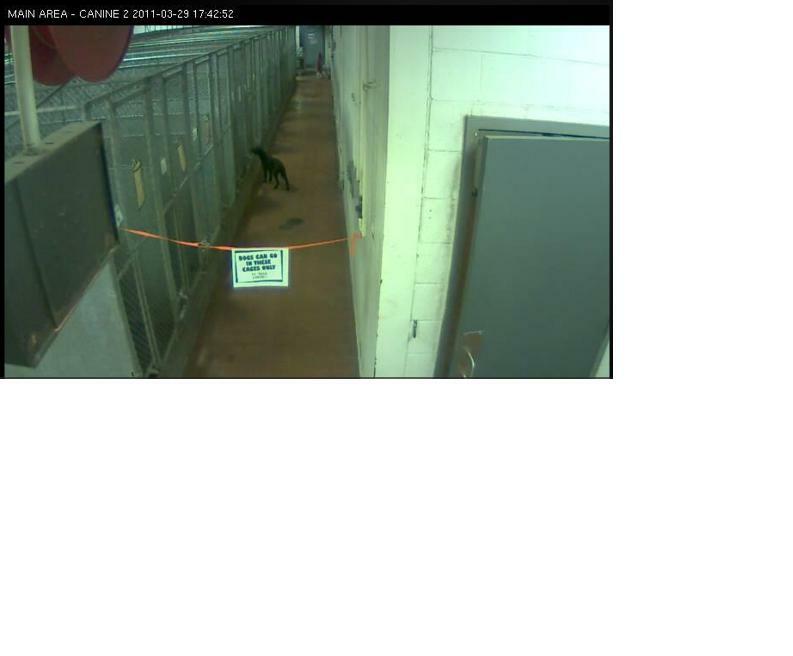 Wharton’s ire comes in the wake of a devastating distemper outbreak at Memphis Animal Services where empty cages illustrate the drastic euthanization rate that’s been adopted in recent days. “You can’t build a shelter large enough to absorb the irresponsible actions of people who claim to be pet owners,” said Wharton. On Tuesday afternoon, Miami-Dade Animal Services reported they have 18 cats and 12 dogs left to adopt. Thank you pet slave masters of Miami-Dade for stepping up and saving pets lives! 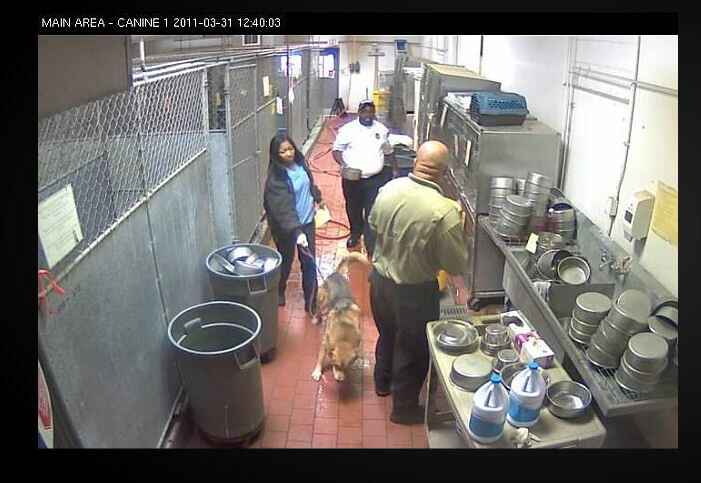 I only wish the unwashed masses in Memphis had been given the same opportunity to save pets at their shelter. 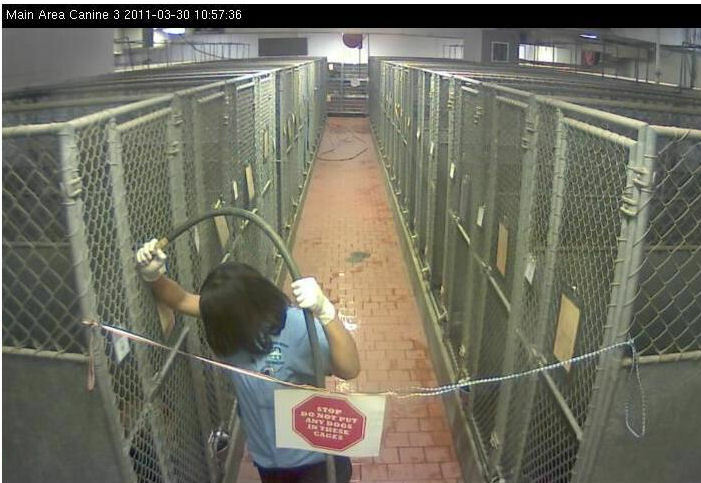 Memphis Animal Services apparently has no Facebook page but a group called Friends of Memphis Animal Services does. 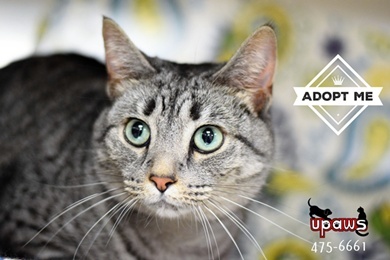 They post a small percentage of the pets at the shelter both on FB and on Petfinder. 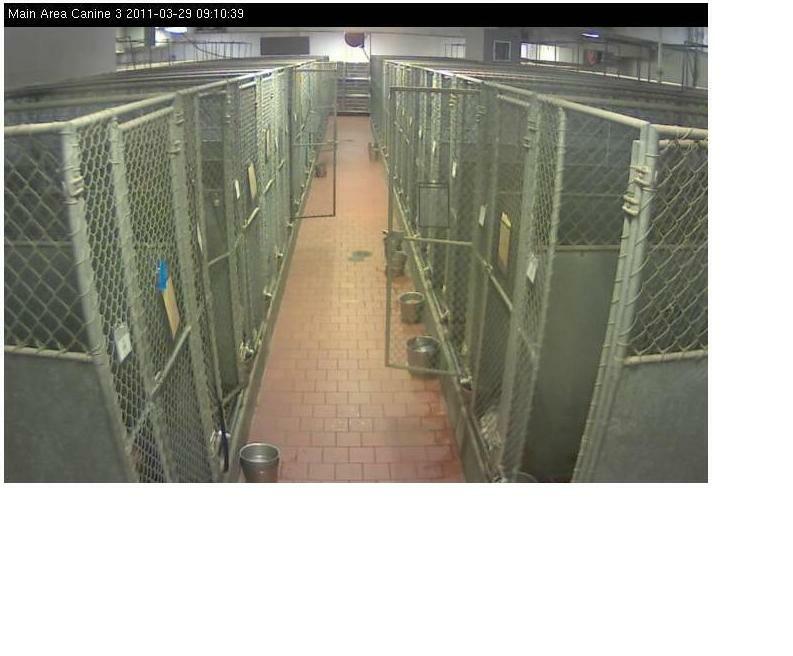 Readers report that any postings to the “Friends” FB page regarding no kill are deleted and now, any screengrabs from the shelter webcams are also being deleted. Don’t distract us from our efforts to save-a-few-and-kill-the-rest with your pesky lifesaving information and legitimate questions about pets at the shelter. We’re on a mission from God. Yesterday, in searching for information on the planned mass killing of stray dogs at MAS as reported in the Commercial Appeal, I looked at the “Friends” FB page. I didn’t find anything whatsoever about dogs being killed. Not one word. 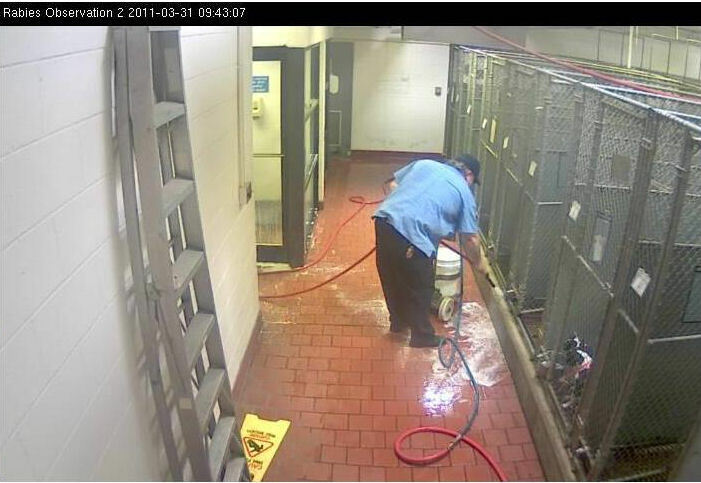 Instead, I saw postings about how rescue groups were saving “many, many” dogs and other dogs were being moved to outside kennels while their indoor kennels were cleaned. However, I failed to find any specifics as far as names of rescue groups, numbers of dogs, etc. even though people had posted those questions. Some comments indicated a desire to thank the rescuers with donations. “Friends” said they didn’t want to post the rescue groups’ names without permission. This got me wondering, have you ever heard of a rescue group not wanting to publicize their work and receive donations for it? Maybe the dog rescues in Memphis are all kajillionaires, I don’t know – or maybe “Friends” just figures the dog rescues don’t need any more donations. At any rate, today’s article in the Commercial Appeal states that “as many as 14 dogs” were pulled by rescues yesterday. Would it be too difficult to determine the actual number? Is it 8 or 13 or 5 or what? Somebody knows the actual number, right? [Memphis Animal Services Director Matthew] Pepper said at least three more dogs are expected to be taken by rescue groups today, and is hopeful that number will grow. Now let me be clear: I am all for getting dogs out of MAS to rescue. It’s what should have happened when they first knew they had a problem with distemper at the shelter. I am grateful to everyone involved who helped to save “as many as 14 dogs” yesterday and hopefully “at least 3 more” today. But I call it as I see it and what I see here looks like a volunteer group that is – at least – complicit in the misleading PR spin for the shelter. The word “enabler” comes to mind. This shelter regularly holds roughly 350 pets. The numbers aren’t adding up. Supposedly adoptable dogs and puppies were killed Saturday and “strays” were to be killed yesterday. How many have been killed? And “as many as 14 dogs” does not qualify as “many, many” in my book when there is absolutely no mention of the dogs who were killed yesterday. 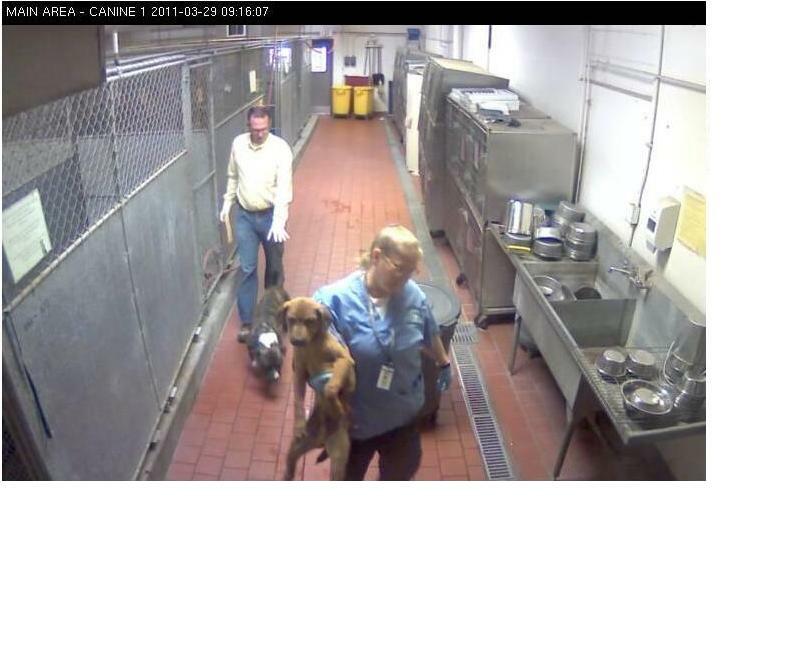 “The true number is probably going to be in excess of 60 that were truly euthanized for the purposes of this illness breakout,” said shelter director Matthew Pepper. In excess of? As many as? What is going on here? This is a public shelter. The records are public information. The truth will come out. If you are interested in supporting efforts to make Memphis a no kill community, join the new group on Facebook: No Kill Memphis. 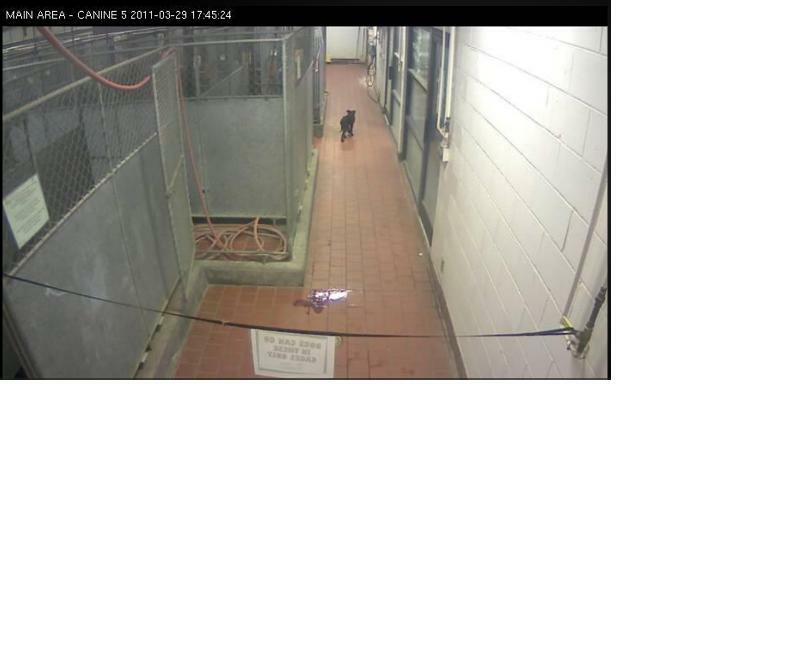 Via a reader, these shots appear to show a puppy visiting other dogs and piddling in the hallway at Memphis Animal Shelter last night. The shelter is currently closed for adoptions to the public while they manage a distemper outbreak. A No Kill Memphis group has been started on Facebook. THANK YOU. Some of them would have been euthanized anyway, either because of aggressive behavior or other illness. But now, even those that would have escaped that fate and eventually been moved to the adoption area will likely be put to sleep. As many as 100 dogs might be killed today, in addition to the estimated 40 – 50 killed on Saturday. 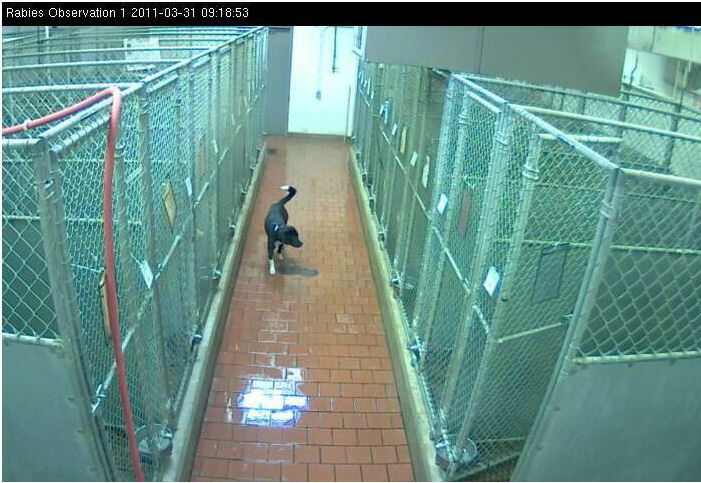 These shelter webcam snapshots from this morning are offered without comment because at the moment, I am disgusted and incapable of much commentary beyond a string of words that would make a sailor blush.